Happy Monday!! Hope you had a great weekend!! 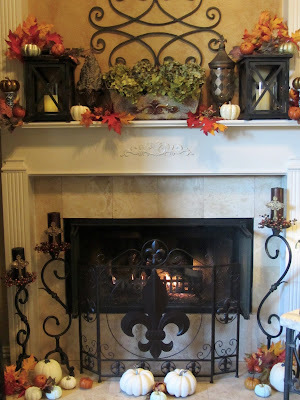 I've had some fun putting a few fall accents around the house; and today, I thought I would share my Fall mantel. I didn't really have a plan. I just played with the things that I already had in my bins. The blue and white candlesticks were a $3.99 thrift find. The lanterns are a staple on my mantel for most of the year. I just added a few picks to bring in some fall color. I'm also loving all of the metallic pumpkins this year; so, I added a few of those, as well. 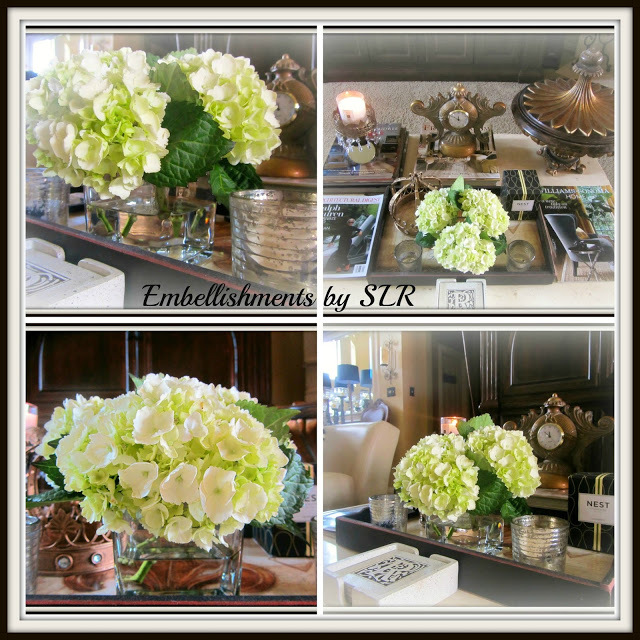 The green hydrangeas are perfect for early fall. A scattering of pumpkins and leaves on the hearth completes my vignette. 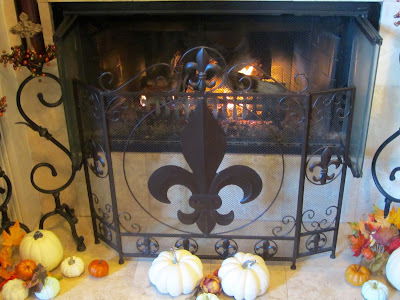 And, that's my fall mantel! It's still pretty warm here; so, I haven't bought any real pumpkins or mums for outside just yet. Thanks so much for stopping by! Hope you're having a great day! This turned out beautiful! I love all the colors and the pumpkins scattered around. We haven't put any outside yet either. It's going to be in the 80s most of the week again. I have so enjoyed all your fall decorating but the only thing I've actually been inspired to do is put a fall arrangement on my dining table. I think I will live my fall decorating vicariously through yours. I usually get an assortment of decorative real pumpkins while in Amish country but it was too hot even up there. You have such an eye for balance and detail, such a beautiful mantle display Shenita. You are making me want to re-work mine. :) Thanks for sharing, I love it. 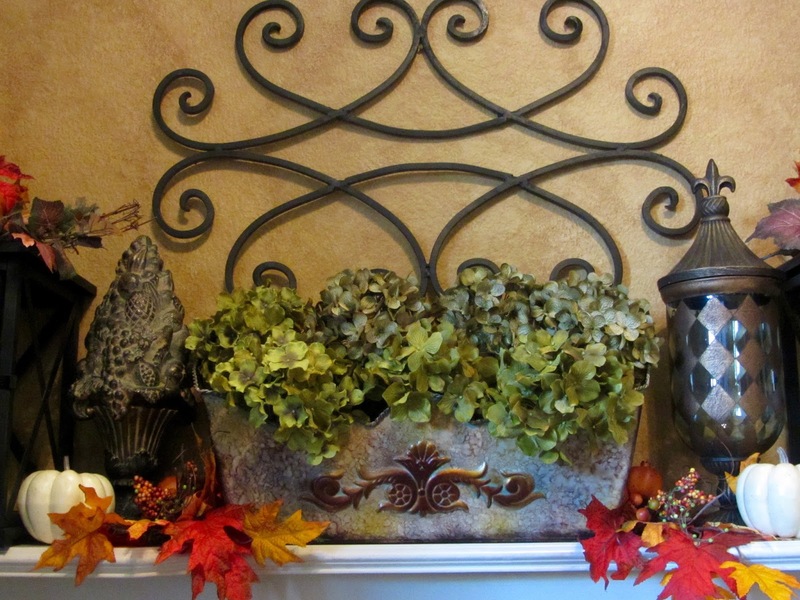 Lovely fall mantel, dear friend! I love the white and copper hued pumpkins! I shy away from metallic accessories, as I feel they 'clash' with my heirloom silver. However, I'm swooning over the PoPs of copper this Season! 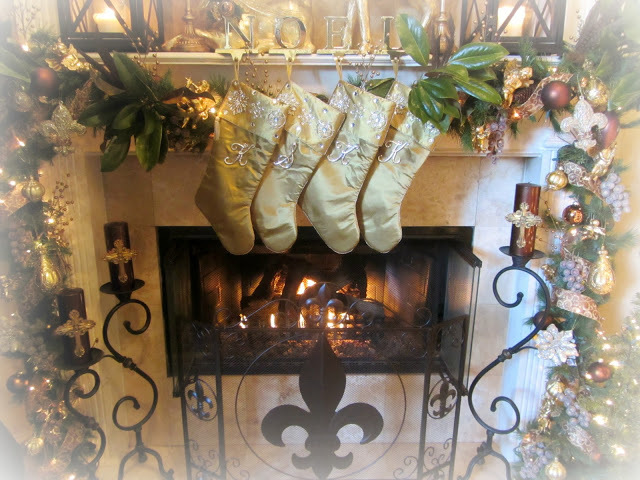 Your mantle is beautiful! I especially love your lanterns! I was just telling my friend that I need to get more lanterns. They're so versatile and there are so many things you can do with them! Very pretty Shenita! Isn't it fun to go through the bins are revisit what you have and put it out in a new way! Shenita, as always beautiful! I love going through what I have collected through the years because I always find things I have forgotten that I had! Have a lovely week! It looks lovely Shenita. 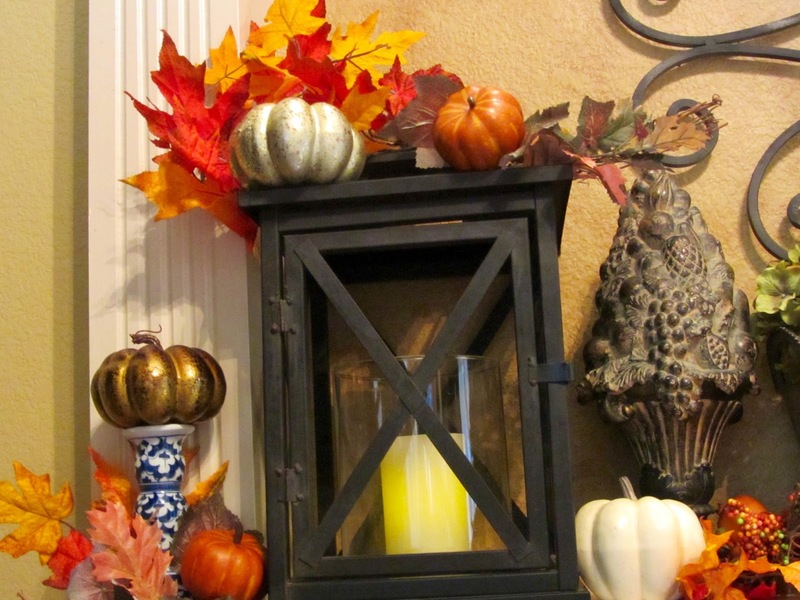 The lantern are a nice touch along with your other fall accessories. Always fun to get out the bins and see what we have. I always forget. For not having a plan, you created a most gorgeous mantel as always Shenita...love your style...you are so very talented ... and great find on those candlesticks!!! Happy Fall!!! Love it! You do great without a plan!! It's so beautiful! Shenita, your mantel is gorgeous! I want those blue and white candlestick holders! What a find! Your house is always beautiful! I hope that you have a wonderful and blessed day!!! Your Fall mantel is gorgeous! You always mix the right pieces together to create perfection! And, I love how your beautiful scroll piece above your mantel ties in with your scroll candle holders and screen! Oh how pretty. Love the pumpkins elevated on those pretty candlesticks. Have a good weekend. Your mantle looks sooo pretty, Shenita. Love every detail! Hi Shenita, so nice to meet you and thank you for stopping by the Texas fall home tour today. Love your gorgeous mantel and the fall styling you've added. Lifting the pumpkins on the candlesticks is a great touch. So inspiring and I enjoyed my visit. Wife. Mother. Lifestyle Blogger. I'm a Southern girl, born and raised in Louisiana, who migrated to Texas, and loves everything about decorating and entertaining. 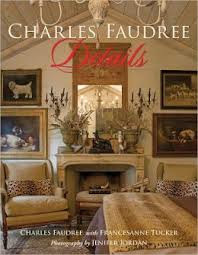 I call my decor style a "gumbo". 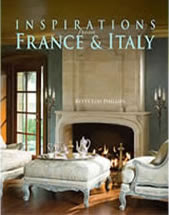 It's Southern style, with a European twist. 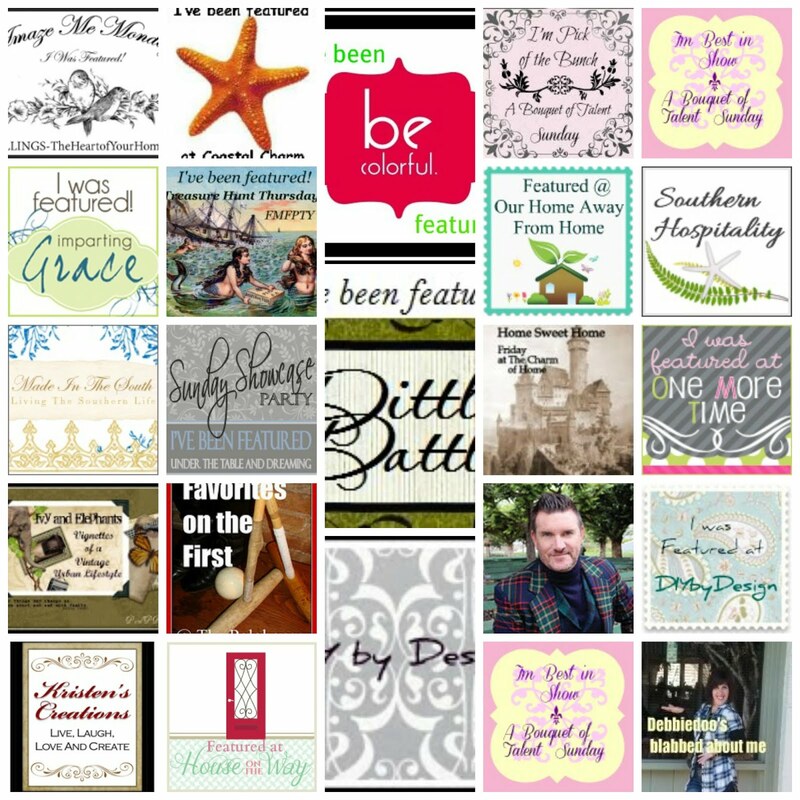 I invite you to join me as I share my fabulous finds and lifestyle ideas. 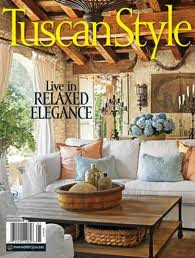 So honored to have our home featured In the premiere issue of Tuscan Home. Click to take a peek! Global Entry: Your “Get Outta Line Free” Card! 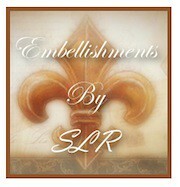 All contents and photos on this site are the exclusive property of Embellishments by SLR © 2012. Simple theme. Powered by Blogger.